The Madhur temple is a Shiva temple with Srimad Anantheswara as it’s presiding deity. But equal importance is given to the deity Maha Ganapathi. It is said that when the temple was being constructed the devotees forgot to install the Ganesha idol but Ganesha miraculously appeared in the rock and from then on he is given more importance in the temple. The idols of Shiva and Vinayaka are installed in Mukhamandapam and Sukasana’s. The Sivalingam of the temple is said to have been found by a harijan woman, Madharu. One can find references of this temple in the Sahyadri Centre of Skanda Purana. The Madhur Srimad Anantheshwara Vinayaka Temple celebrates its Annual festival for 7 days in the month of March/ April. During the festival the presiding deity of the Madhur Srimad Anantheshwara Vinayaka Temple is taken out in a long procession. Display of folk dances and folk music in the procession makes it all the more pleasant. A special festival of the temple named Moodappa Seva which is covering the large figure of Maha Ganapathi with appam made of ghee and rice is also celebrated here which is held once in many years and records says during the last 40 years, this festival has been held only thrice. It was celebrated in April 1962, after a lapse of about 160 years, and recently in April 1992. . The sacred thirtham (water) of the temple pond is said to possess spiritual power to cure all diseases. 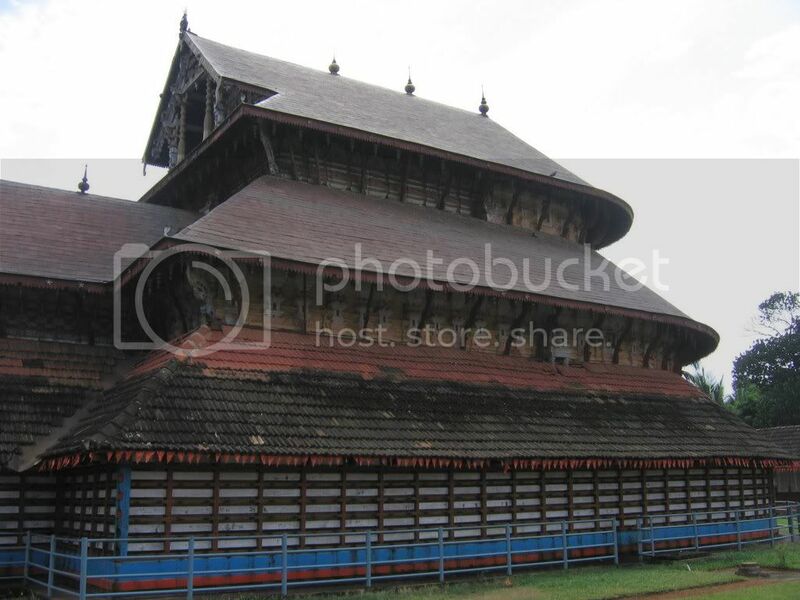 This temple is the most renowned one among the four temples built by the Mypadi kings of Kumbla around the 10th century. 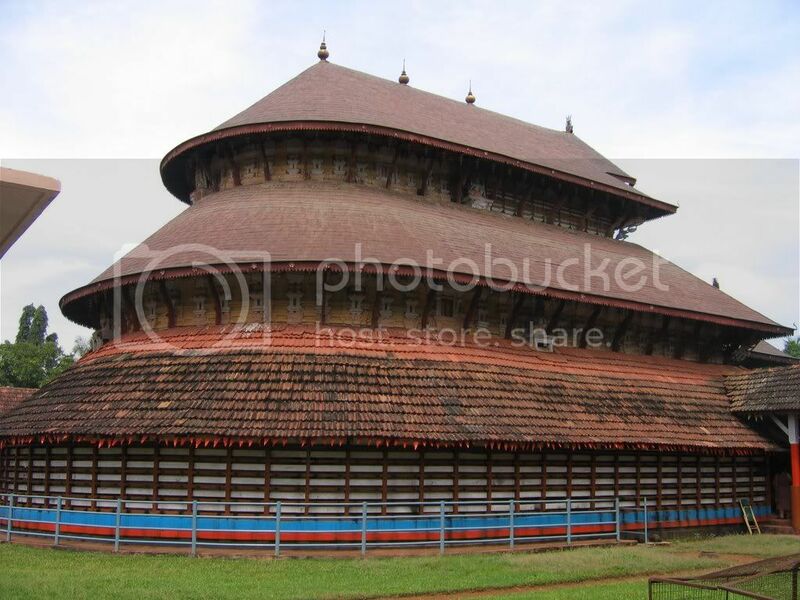 The temple was renovated in the 15th century and was built in a distinctive style in a three storied oval structure adorned with copper plate roofing. The unique architectural style make this temple different from other shrines which is noted for its archaeological value. Variety of patterns in temple architecture can be enjoyed here. 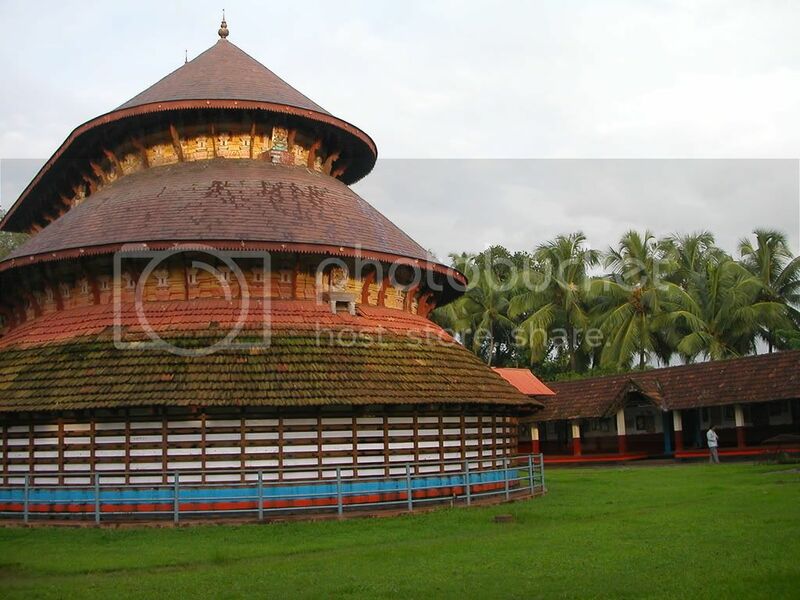 Madhur Maha Ganapathi Temple is a specimen of rich cultural heritage of the Kasargod region. 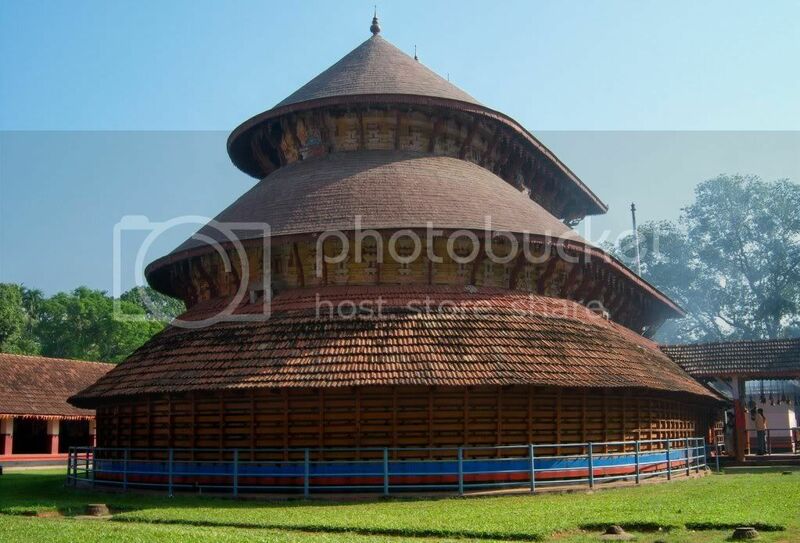 It is a perfect blend of architecture of Kerala and Karnataka regions. The rich architecture, imposing structure of the temple and the copper plate roofing rises majestically against the beautiful landscape of hills, the place is indeed fascinating. There are abundant paddy fields and gardens with the river Madhuvahini flowing leisurely in front of the temple. This place in Kerala has a picturesque beauty. The wood carvings in the temple is marvelous. The carvings depict historic heroes of Mahabharat and Ramayana. These eye-feast carvings are in the ceilings of Namaskara Mandapam ( Prayer hall ) of the temple. A closer examination of the wood carvings would disclose the various episodes of the Ramayana, beginning with the Sita Swayamvara. The Mantapa in the interior of the temple building as well as the outside facade of the second and third storey of the main building are also profuse with attractive and exquisite wood carvings. Please contact Temple authority for latest and details about other Seva.